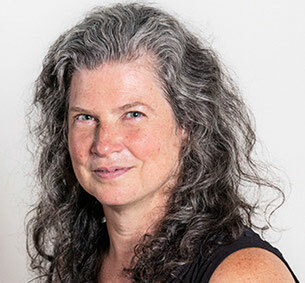 Linda believes in creating a playful atmosphere, cultivating grace & receptivity while fostering a lively mix of training embodying movement technique & connection. She warns that AcroYoga is ADDICTIVE. The group dynamics of AcroYoga foster exploration, courage, extraordinary communication, community expansion, respect, and trust. Linda holds Level 2 certifications in AcroYoga from AcroYoga Int'l, is certified through Daniel Scott’s Yoga of Trust, and has studied with Lux Sternstein (Seattleacro) and Jason & Chelsey Magness (Yogaslackers). She holds Level 2 certifications in Thai Yoga Bodywork from Triple Gem School of Thai Massage and from AcroYoga Int'l. Linda’s a 22nd generation Dragon Gate lineage-holder with a QiGong Educator certification from the Institute of Traditional Medicine. Her background is in dance. 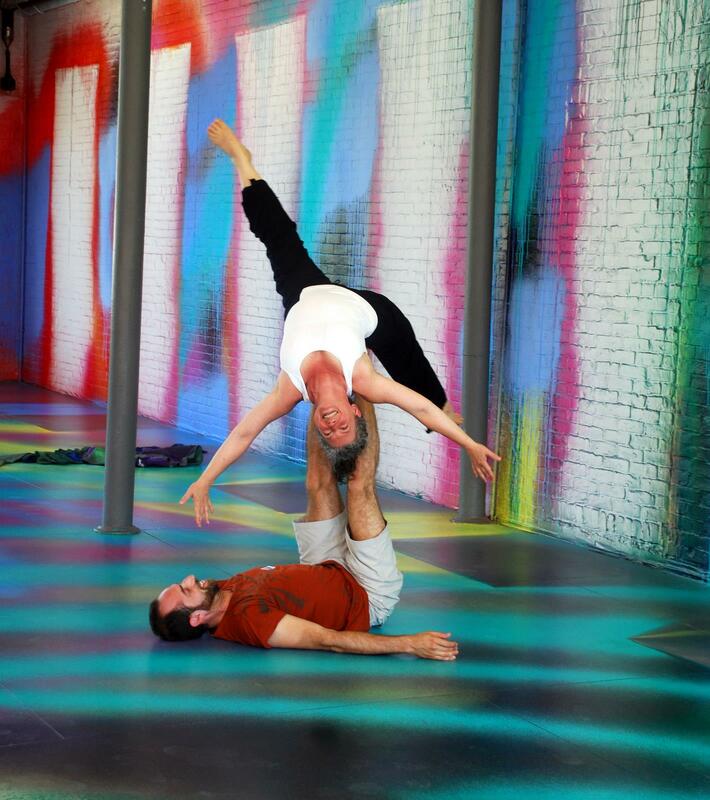 Linda began leading AcroYoga & Thai Bodywork classes/workshops at Om Factory in 2012. 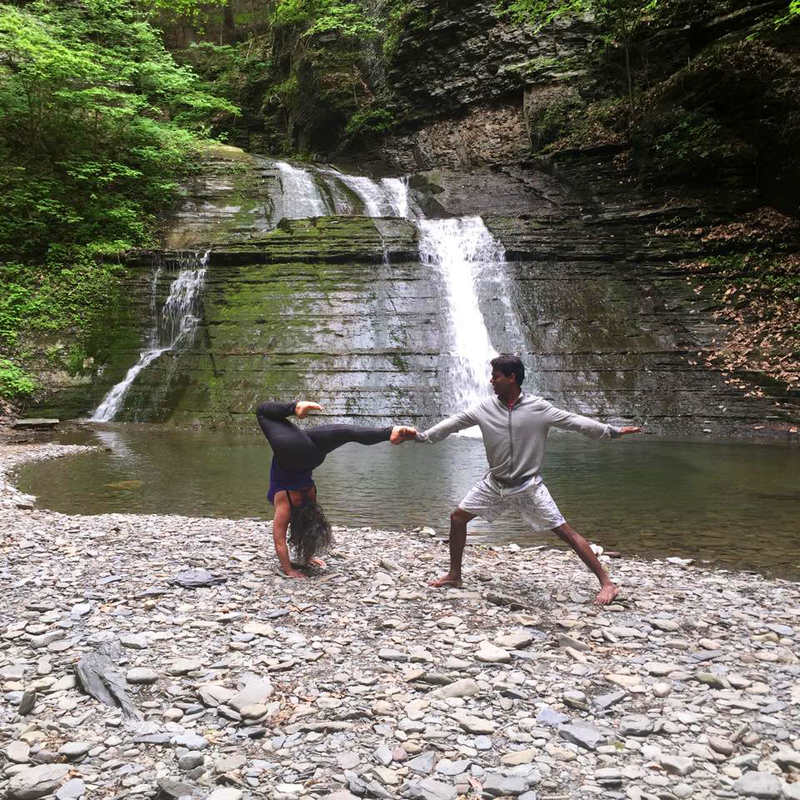 She works with corporate clients, individuals, and at festivals internationally, including: NYAcroFest, Hamptons Yoga Festival, Greece-Athens AcroYoga Festival, Bryant Park, Figment, Michael Franti’s Soulshine Tour, Wanderlust Festival, Yoga Journal Conference, Kripalu, Yoga Vida, Yoga Smoga & ABC’s Good Morning America. She is honored to explore what may be possible and loves provoking smiles, personal growth, and satisfaction while seeing people light up. 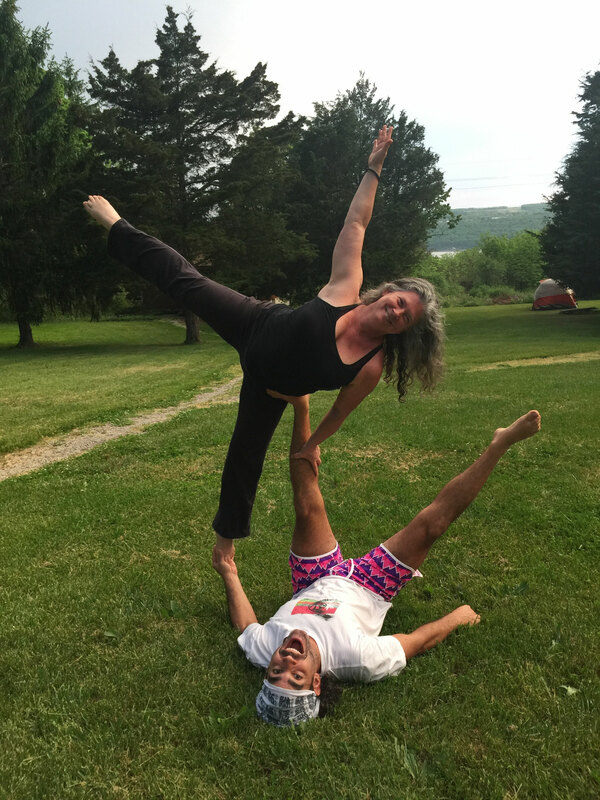 Linda regularly leads our monthly AcroYoga 101, Acro Jams, Thai Bodywork workshops, and more!